Popular Shelton Floorplan on Premium Lot, 1905 Sqft, 3 Bdrm, 3 Bath, 2 Car Garage! 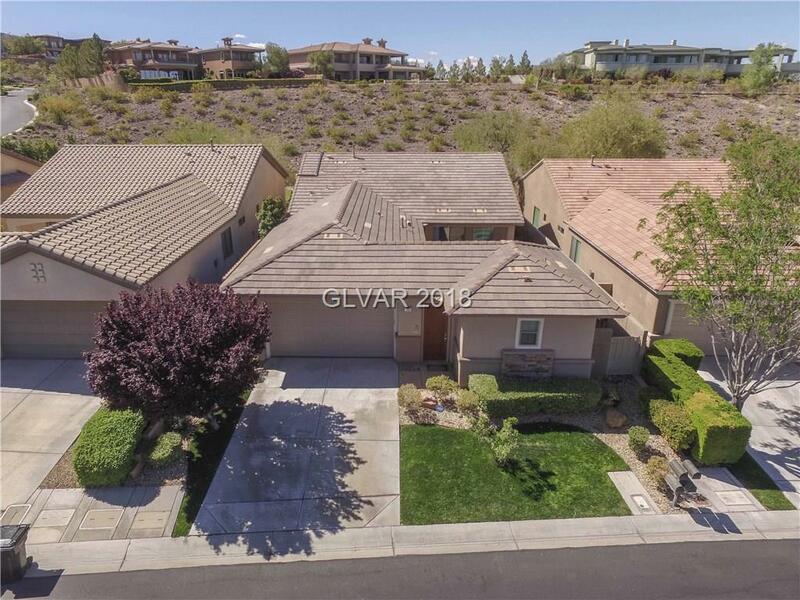 Courtyard w/Custom Spa, Large back yard w/Pool, BBQ, Putting Green, CV Patio, & B/I Gas Tiki Torches! Island Kitchen w/Granite Counters & Backsplash, Stainless Steel Appliances. Extensive use of Travertine Marble Flooring, 2-Tone Paint, Volume Ceilings. Alarm System, Plantation Shutters, Water Conditioner, Video Doorbell, Ceiling Fans, Shower w/Body Jets, more! Directions: S On Eastern From Eastern & St. Rose. Turn L @ Anthem Pkwy. Turn L @ Anthem Club Dr. Turn R @ Anthem Club Dr. Turn R @ Stonemark. Turn L @ Hunt Valley. R @ Gladewater.